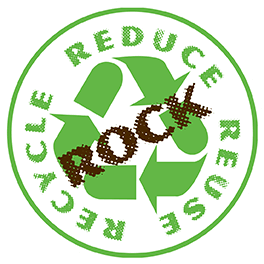 Sugar Land's Earth Day Celebration - Reduce, Reuse, Recycle and Rock - will be held Saturday, April 13, from 1-5 p.m., on the plaza at Sugar Land Town Square. New to this year's Earth Day Celebration will be live performances by Andyroo and the Andyrooniverse. Don't miss this green-minded high energy performance! *	Reptile shows by Texas Snakes & More will be held at 2:15 p.m. and 4:15 p.m. Returning to this year's Earth Day Celebration are Nutty Scientist and Nature & Eclectic Outdoors (NEO). Children can enjoy learning about the Earth through various science laboratory experiments with Nutty Scientist. NEO will offer outdoor education using diverse activities like fishing tournaments, life-size games and more. *	Residents must remain in their vehicles at all times. *	Walk-ups will not be accepted. *	ProShred staff will remove items from vehicles. *	Residents may not be able to watch their documents get shredded. *	Containers used to transport items and papers will not be returned.